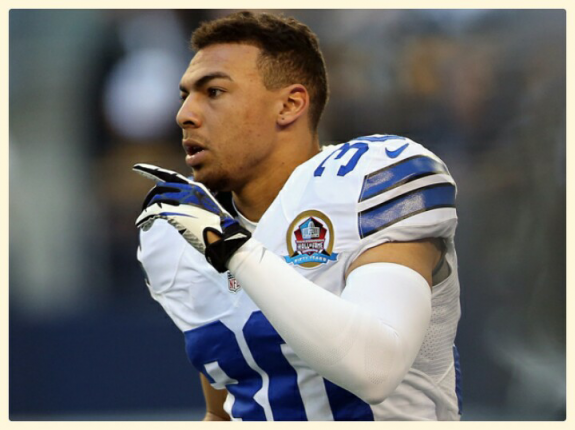 Per ESPN reporter and member of Inside the NFL show Josina Anderson, Dallas Cowboys free agent cornerback Sterling Moore will visit with the Pittsburgh Steelers. The Steelers lost cornerback Brice McCain to free agency last week and are to visit with Patrick Robinson, a free agent corner from the New Orleans Saints as well this week. With two free agent defensive backs in Pittsburgh, the Steelers are likely looking for veteran experience to bolster depth at the position instead of relying solely on the 2015 NFL Draft. At 5’10”, 202 pounds Moore doesn’t have exceptional height but has recorded 80 tackles, 20 passes defended, three interceptions and a touchdown. Moore went undrafted in 2011 and spent time with the Oakland Raiders and New England Patriots before moving onto the Cowboys roster. Moore mainly played in the nickel package in Dallas after B.W. Webb took the starting position. The Steelers will most likely work Robinson and Moore out to compare notes and determine which player would fit best in their defense. 2 Comments on "Report: Cowboys FA Corner Sterling Moore to Visit Steelers"
This tells me the Steelers are planning to use their first round pick at #22 for an OLB or Safety. That makes sense. Rookie CBs are rarely ready to start, and any CB taken that late in Rd #1 probably wouldn’t be ready to start for at least a year. Paying for veteran talent at CB is smart. While I don’t pretend to know the merits of these two players, I applaud Colbert’s strategy. This approach is sound. This position is already as thin as tissue paper and now we have Antwan Blake being arrested for public intoxication . In my opinion , they need to bite the bullet and go ahead and sign Robinson from the Saints and Moore from Dallas . This area has got be fixed and these two are the only veteran corners left on the market with any significant playing time . The Steelers put themselves in this position by not resigning Brice McCain . Now youre backed into a corner . By doing this , you can use your Number 1 pick on an outside linebacker .